Spoiler warning for the closing scenes of Final Fantasy XIV: A Realm Reborn's main campaign. Final Fantasy XIV continues its warpath as one of the most beautiful games on the market with A Realm Reborn's first major expansion, Heavensward. We still have two more months to go until the official launch, but Square Enix has graced us with a glimpse into the game's opening cinematic. I never finished the main campaign in A Realm Reborn, so I can't speak for how the story continues from there. In this trailer though, the Hero of Light travels to the cold, rigid north where the freezing elements are nearly as dangerous as the fire-breathing dragons. 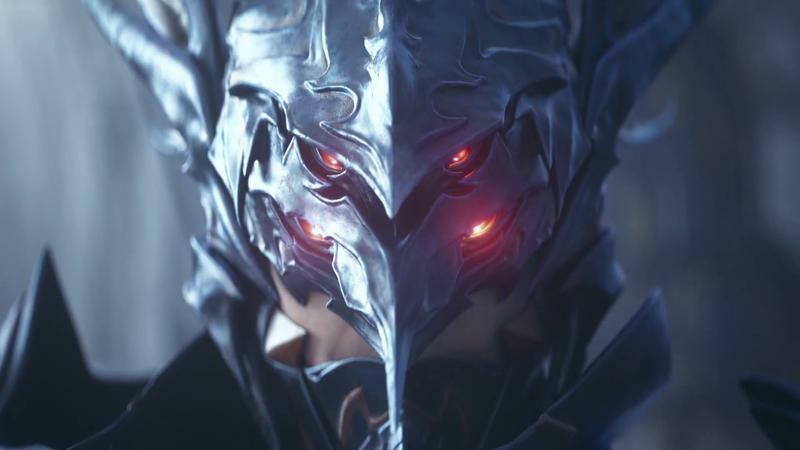 The trailer shows off Square Enix's rarely seen subtle side, and the Dragoon job class gets a lovely introduction in the closing seconds. At any rate, Square Enix is definitely following in the footsteps of what Bethesda and BioWare have decided to do over the years. Both of those companies overloaded on opening CG sequences to lure in players, and games like The Elder Scrolls Online saw the most jaw-dropping trailers leading up to their launch using that footage. I won't put this cutscene on that level, but it's nice to see that Square Enix can adapt to match its RPG rivals and still keep that unique air of "Final Fantasy" around its game. Final Fantasy XIV: Heavensward will be released for the PlayStation 3, PlayStation 4 and PC on June 23.